Finding the right shoes might seem easy, but in reality, it can be difficult to find the perfect golf shoes. We take fitting you for the right pair of shoes just as seriously as our club fitting process. You don't find yourself switching putters in the middle of a round, while sometimes we'd like to, and you wouldn't with your shoes either.. Your best bet is to do your research prior to making a purchase, and come to the professionals at Carl's Golfland for help. The staff at Carl's Golfland can help you find the perfect golf shoe to better your game. Finding the best golf shoes includes determining your size and width, spikeless or spiked and what manufacturer might work best for you. We have the largest variety of sizes and styles to choose from, so you are guaranteed to find a pair that's right for you. Looking good is just as important as comfort when it comes to your footwear. 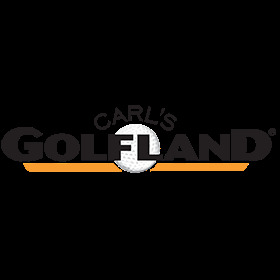 Carl's Golfland offers top of the line, name brand styles at affordable prices. From Nike and Footjoy to Adidas and Puma we offer all of the top brands, so you are sure to find one that fits your style. Golfing in uncomfortable shoes can make what should be a relaxing day turn into a stressful one. When you find the right pair of golf shoes, you will do your golf game a favor, and your feet will benefit as well. Turn to Carl's Golfland for stylish and comfortable shoes at the lowest prices anywhere.